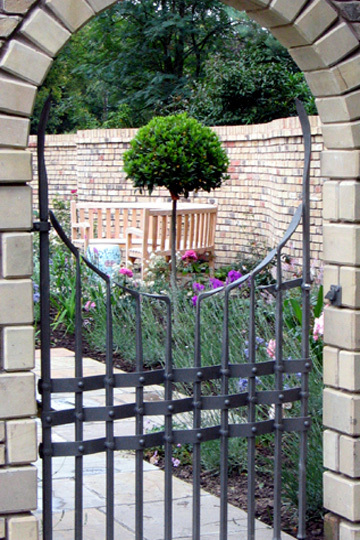 This richly detailed and contemporary garden gate was constructed using traditional blacksmith's joinery such as riveting and hot punched holes. 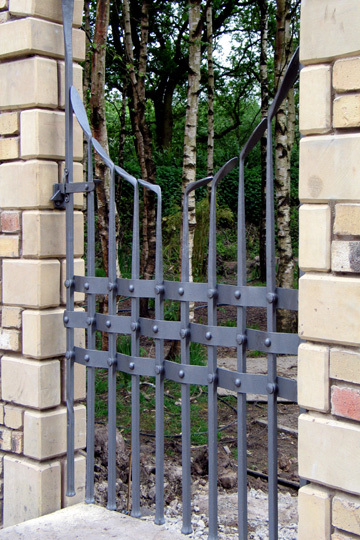 Note how the gate was built without using a conventional frame. 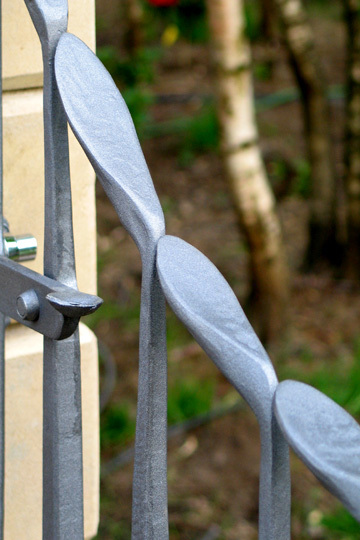 All the gate's "structure" comes from the woven bands across the middle of the gate. The uprights were forged into expressive and playful shapes. 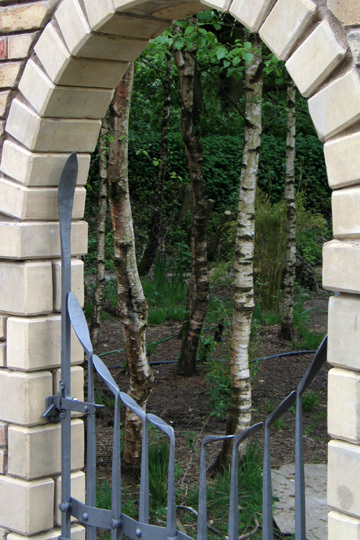 Whilst these don't actually connect, they appear to join up to make a circle within the arch way. 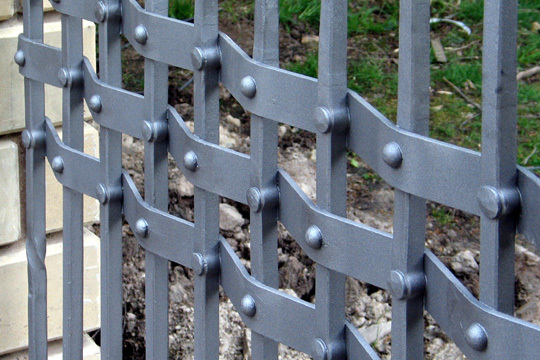 Frameless gates and suggested profiles regularly feature in our portfolio. 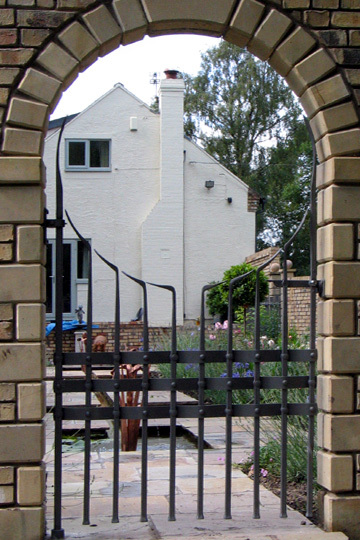 The owner also commissioned these complementary railings, these garden obelisks and these equally as detailed gates.